Mark Mitchell from the Yale Art Gallery wowed a sold out crowd of Yalies, guests and family as he toured us through his American still life exhibition: Audubon to Warhol: American Still Life. He simplified the different periods of development in American still life painting. He amplified what a still life painting means, to where by the early 20th century, you looked at paintings in a completely different light. Those who missed the tour will still enjoy seeing the exhibition at the Philadelphia Museum of Art until its closing on January 10, 2016. 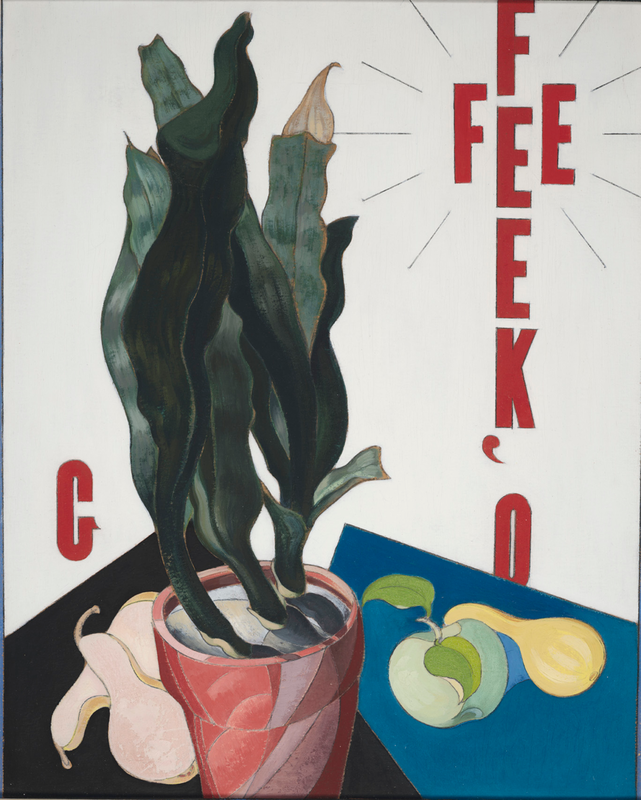 Here’s a hint at the kind of art that you will see . . . .
Charles Demuth (1883 – 1935). Poster Portrait of O’Keeffe Beinecke Rare Book and Manuscript Library, Yale University. The club has a very limited opportunity to indulge in a private tour of this exhibition by the curator. Since creating the exhibition, Mark Mitchell made a career move to-of all places-the Yale University Art Gallery! He graciously has agreed to return to Philadelphia for a Saturday, November 7 morning tour by the Yale Club of Philadelphia. We will meet by 9:15 AM and the tour will start at 9:30 AM. Please include your email address, and I can respond with tour details. Yale alumni who have not contributed to the club since July 1 should look at the club website on October 15 to see if there are any openings. If there are, you can send a check postmarked on or after October 15 to the above address to reserve your place on a first come, first served basis.